Prior to developing climate services tailored at the durum wheat sector, it is critical to identify what companies need to know about the future weather and climate and how they want to receive this information. 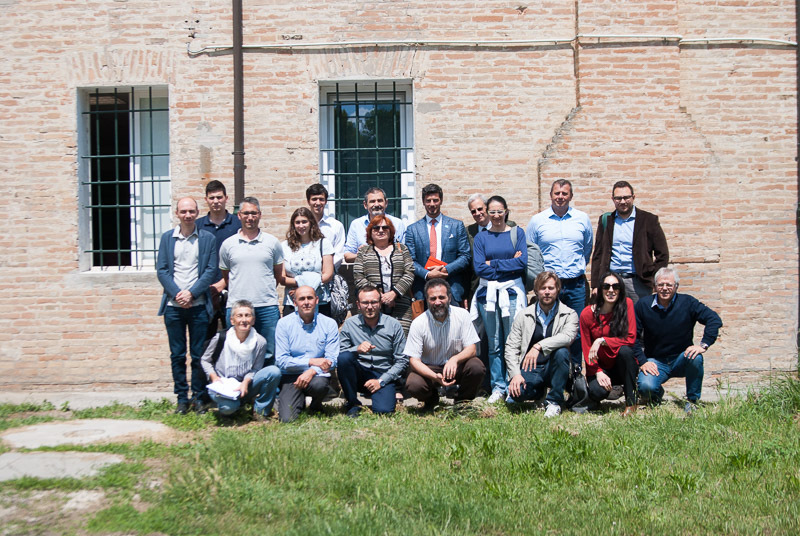 As a result, the MED-GOLD project held an institutional meeting and a workshop last May 15 and 16, respectively, at the Premises of Horta Ltd premises, in Ravenna, Italy. On May 15th, an institutional meeting was organised, which involved 11 technical experts from Italian political institutions, breeding, academic world and stocks exchange markets. The aim of the meeting was to ascertain the key operational and strategic decision-making processes that could potentially benefit from the use of seasonal climate forecasts, long-term climate change projections. On May 16th, a workshop involving 16 participants was held, amongst durum wheat farmers, producers’ association and elevators across different Italian regions. The participants had been selected among the users of granoduro.net, a DSS platform developed by Horta Ltd for the management and optimization of durum wheat production. The aim of the workshop was to acknowledge current use and potential improvement of the DSS system. In addition, the workshop was crucial in defining the key decisions, timing and frequency of durum wheat cultivation and how weather (short-medium term) and climatic projections (long-term) and their main variables could mostly influence such decisions.